Bäume für Menschen – Trees for the World® has acquired a plot of land with an old farmhouse in Okahandja that has been transformed into a kindergarten. So far, 16 children of Okahandja’s waste dump have been inscribed at our kindergarten, but we have planned for two groups of 15 to 20 children each. Additionally we have planned to install an orphanage in the near future, to offer children of AIDS-victims shelter and the chance for a humane life. We also have planned a guest house, where the foster parents and visitorscan experience the daily routine together with the children and our employees. Yes I help the standed children and orphans in Namibia. 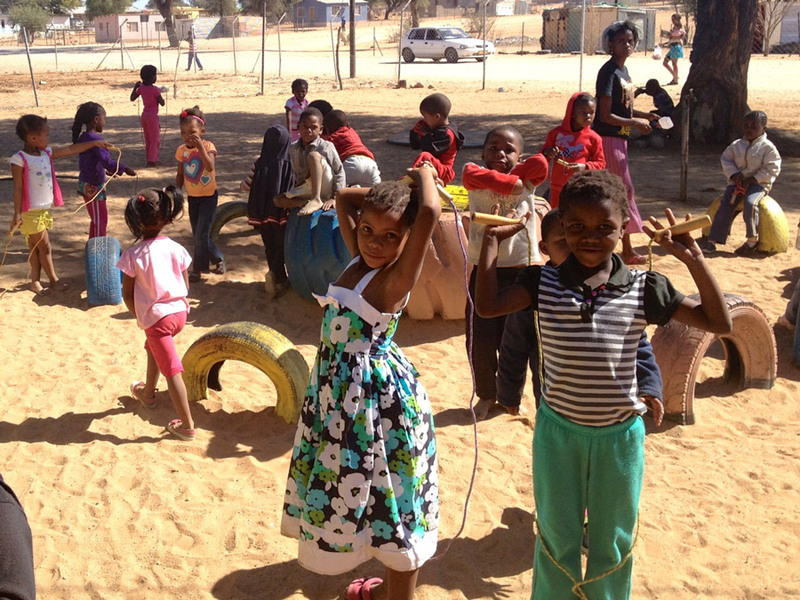 With my donation I support the kindergarten of Bäume für Menschen - Trees for the World® in Okahandja, Namibia and help to install the orphanage. Hereby I authorize the environmental organization Bäume für Menschen - Trees for the World e.V. to book the declared donation from my bank account (depending on choice. monthly, quarterly, half-yearly, yearly).